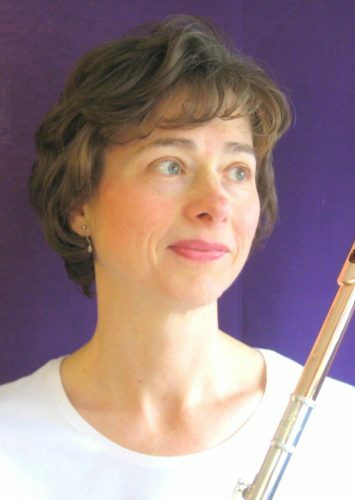 Brenda Fedoruk is currently Principal Flute with the Vancouver Opera Orchestra and a core member of Vancouver’s esteemed Turning Point Ensemble. Ms. Fedoruk was a long time member of the CBC Radio Orchestra, until the orchestra’s disbanding in 2008. She performs often with the Vancouver Symphony Orchestra, has appeared as Guest Principal Flute with the Victoria Symphony and performed as a member of the orchestra for the Vancouver musical theatre productions of Les Miserables, Showboat, Sunset Boulevard, Ragtime and Phantom of the Opera, as well as with the touring orchestras for the Royal Winnipeg Ballet and the National Ballet. Ms. Fedoruk has recorded for commercial film and television projects (Chestnut: Hero of Central Park, Spymate, AirBud, MVP, Once Upon a Mattress, Lonesome Dove series), and has been heard in recital on CBC Radio’s Westcoast Performance and Arts Tonight programmes. In addition, she is active as a chamber musician, performing, recording and touring with Vancouver’s Turning Point Ensemble, West Coast Chamber Music, The Old Schoolhouse Sunday Concerts (Qualicum Beach), Silk Purse (West Vancouver), UBC Wednesday Noon Hour Recital Series and for the Hornby Island Music Festival’s “Decade of Decades” series. Brenda Fedoruk is an active and dedicated teacher. She is a faculty member at the University of British Columbia, Capilano University, Vancouver Community College, Douglas College and the Vancouver Academy of Music. She conducts and directs the Capilano Flute Choir and is in demand as an adjudicator and clinician. Ms. Fedoruk’s first CD, I Remember, showcasing repertoire for flute and mezzo soprano and featuring two world premiere recordings, has received unanimous critical acclaim.